Upgrade your home with help from One Way Electric! We offer state-of-the-art automated security and media systems for residents of Phoenix, AZ. Energy Management – Save money and conserve energy while you’re away. With GPS thermostat climate control, your home will intelligently set the indoor climate. Home Automation – Turn your lights on and off, even when you’re not at home. Interactive Security – Lock your doors and shut the garage with your phone. Live Video Monitoring – Monitor your home in real time from anywhere in the world. 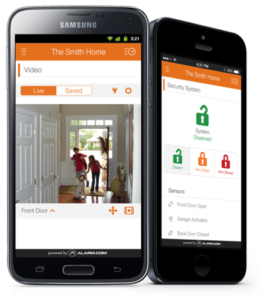 Remote Access – Control your home’s systems with a tap on a button on your phone. Wellness Alerts – Monitor activity in your home and even integrate emergency response pendants to keep you and your family safe from harm. If you want these smart automated security solutions, we can help you. We can install security systems, smart lighting, cameras, door locks, thermostats, and more for residential and commercial clients, including small businesses. Along with installation, we also offer 24/7 fast response monitoring that starts at only $29.99 a month. A 36-month monitoring contract is required; a termination fee applies. Call us today for more information. 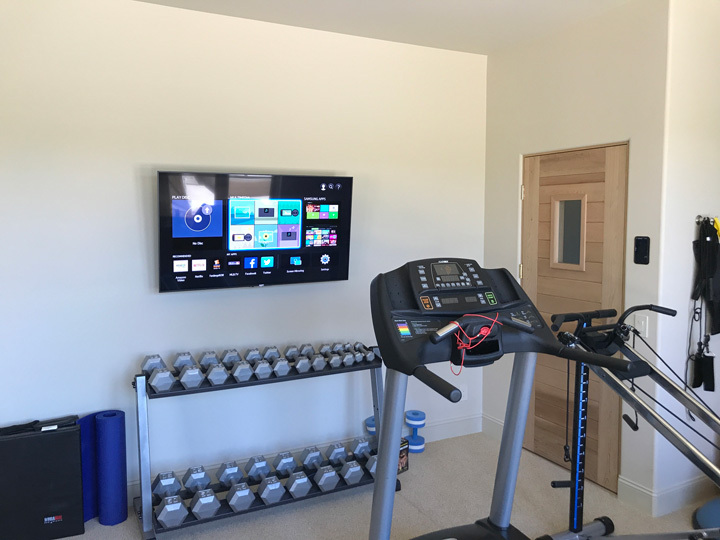 Say goodbye to bulky equipment and difficult-to-find controls with our audiovisual systems. With flush-mounted, flat-paneled televisions and invisible ceiling speakers, you can fully immerse yourself in your favorite album or show. 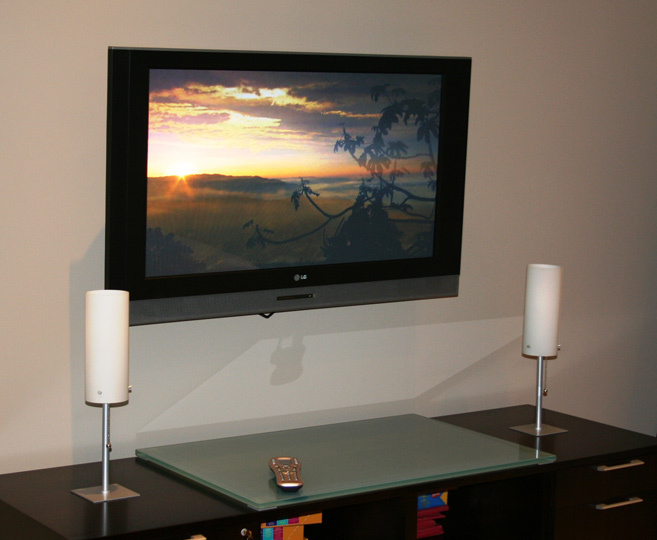 You can even manage your media from any room with the intuitive commands of just one remote control. Make your home more comfortable by optimizing the heating, ventilation, and air conditioning systems in your home. One Way Electric will make it easy for you to control the temperature of any room from one or multiple touch panels in your home, office, PDA, or mobile device. We will work closely with your HVAC contractor to ensure proper design and control for your HVAC systems. Computers have revolutionized the way we work and live. Luckily, you can rely on us for all of your computer needs, from high-speed Internet sharing to file and printing solutions over a wireless network. Without a properly designed and wired system, none of your systems would be able to work right. One Way Electric will build a structured wire panel that allows access to network communications, telephone, cable and satellite TV, and security systems from any room and location. 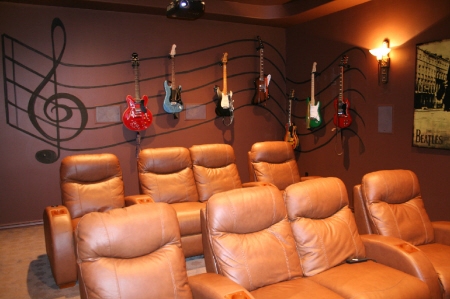 Be the envy of your friends and neighbors with your very own theater system. 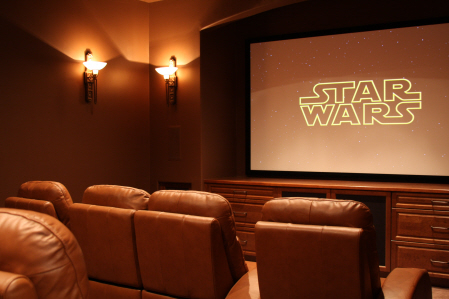 Watch your favorite movie in the comfort of a home theater that was professionally and specifically designed to match your lifestyle and budget. Take advantage of the convenience that a telephone system offers. Get whole-house paging, door phone answering, music on hold, speed dialing, call forwarding, and many other services that can meet the demands of both a normal household to a hard-working professional. Will my security system work even if my phone line is cut, the internet goes down, or the power goes out? ANSWER: With wireless communication, your system will continue to work no matter what, even if the panel is destroyed. ANSWER: Depends on the responding police department. Many cities, municipalities, and counties require alarm permits for the alarm system to be installed. Some cities won’t even dispatch police unless the address has an alarm permit. Please check with your local authorities to find out if an alarm permit is required for your location. How can I add a Zwave device to my system so I can control lights and/or thermostats? 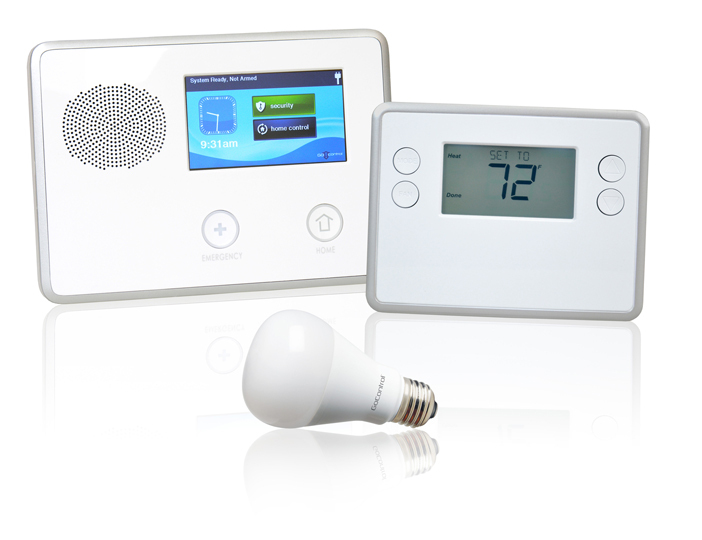 ANSWER: If your system is set up to control Zwave devices then you can easily add lights, locks, or thermostats. Please call our office to have a technician assist you with the set up. My motion detector doesn't work. How can I test them? ANSWER: There are a couple of things you should know about wireless motion detectors. To preserve battery life, the light on the motion detector won’t turn on. Second, the detector is programmed to go into sleep mode if it senses motion only twice in a 60-second interval. The detector will sleep for five minutes, after which it will automatically wake itself up. This keeps the battery from running out too quickly since, during sleep mode, the motion detector isn’t sending signals to the control every time someone walks by. However, this can make testing a little tricky. Arm your systems to AWAY. Open and close the front door, as if you are leaving the house. You need to do this; otherwise, the alarm system will think that you armed the motions by mistake and will turn them off. Once arming is complete, stay out of view of the motion detector for five minutes. Walk in front of the motion detector like normal. The alarm should sound about three seconds after the motion detector has seen you. Quickly disarm the system so that our central station isn't notified. My thermostat that One Way Electric installed isn't responding online anymore. Go over to the thermostat. Reach up with both hands and place your pointer fingers on the top left and top right corners of the thermostat. Gently pull toward yourself. The top faceplate will slide off of the thermostat, opening up some small buttons that you can press. Press the "reset" button, and you will see the screen react to the press of the button. Communication should be reestablished within 60 seconds. If this did not work, or if your thermostat repeatedly loses its connection with the panel, please contact One Way Electric so we can troubleshoot over the phone or schedule a technician to repair your thermostat. If I have multiple locations, can I access them easily? ANSWER: If you have our interactive cellular services at each of these locations, then you may access multiple sites by emailing egoulish@onewayelectric.com and request that we set up your accounts for these special services. Once your accounts have been connected, we will give you a login name and password that you can use to access your accounts on the following website: www.alarm.com/enterprise. This move policy applies to residential systems as well as most small businesses. Customer will need to remove the main panel/keypad and bring it to the new location. If you are not comfortable doing this, a technician can be scheduled to remove the equipment for a one-time fee. 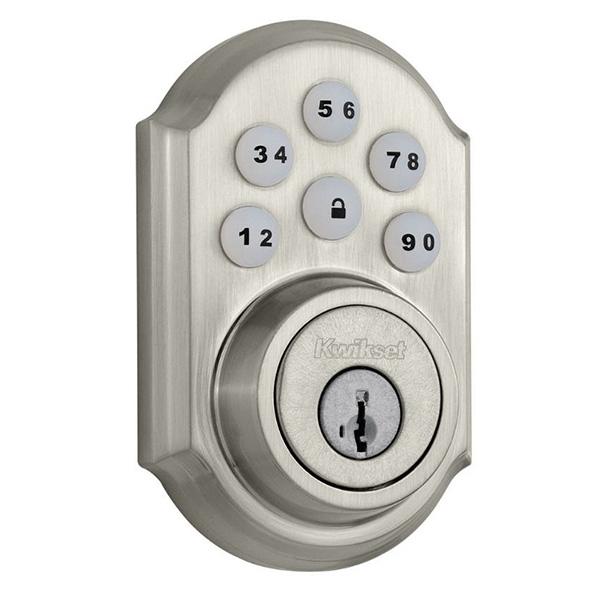 Security Equipment - Based on what was installed previously, One Way Electric will move up to 10 other security sensors (doors, windows, motions, etc.) to be installed at the new location. Automation Equipment - The customer will need to bring any automation/camera equipment with them. If new equipment is wanted, it may be purchased at a 20% discount at the time of service.